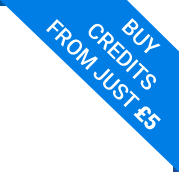 Our minimum credit package of £5 for 20 credits is now always available. This is great news if you have an infrequent need of our services! For those of you who use ukphonebook.com more often we recommend you buy at least 200 credits at a time to take advantage of our bulk discounts.